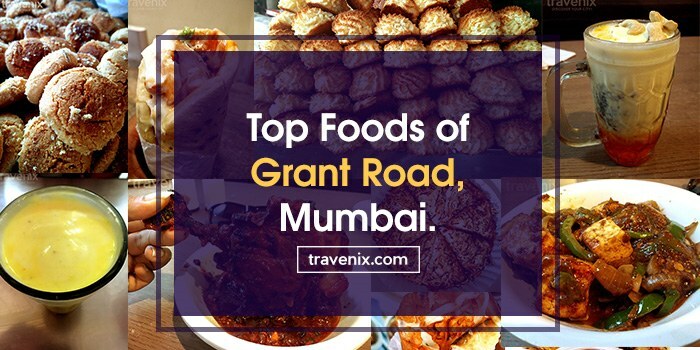 Grant Road, a locality in South Bombay, is a busy road with a rich history, and a rich mix of cultures. Named after a Governor of Bombay from the British era, Sir Robert Grant, this place is home to Muslim, Jain, and Irani and Parsi communities. The colorful vibes of these different cultures run through the streets of Grant Road. It has Fire Temples, Mosques and many other religious places. 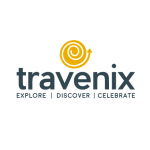 Besides being culturally rich, Grant Road can also be passed off as a mini shopping street, with street side stalls popping-up everywhere, offering you a variety of apparel, cosmetics and small memoirs. It also has a lot of theatres, and full-fledged housing societies. The adjoining street, Mohammed Shaukat Ali Road is home to shops that sell different kinds of furniture at amazing prices. In this classic dish, a few things were hit and very few were miss. The schezwan is a tad spicier than it ought to be. However, the schezwan and tandoori flavors mix well enough. They both stand out well and neither overpowers the other. The chicken is as tender and fresh as one would expect from a place of this reputation. The sauces add well to the entire mix. Overall, it is a dish that’s worth trying at the price point that it’s at. 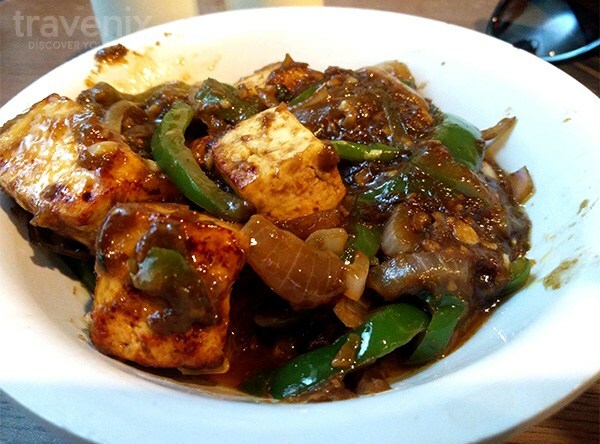 While the chicken dish above is mostly a hit, the same cannot be said about this paneer dish. The paneer, which is central to the dish, is quite rubbery and chewy. Once the foundation of the dish isn’t good, the rest of it quickly falls apart around it. The gravy and spices are well done but don’t hold up to scrutiny on their own. There’s a strong garlic flavor (so, vampires, stay away from this one) and the vegetables are well soaked in it. Once again though, rubbery paneer! 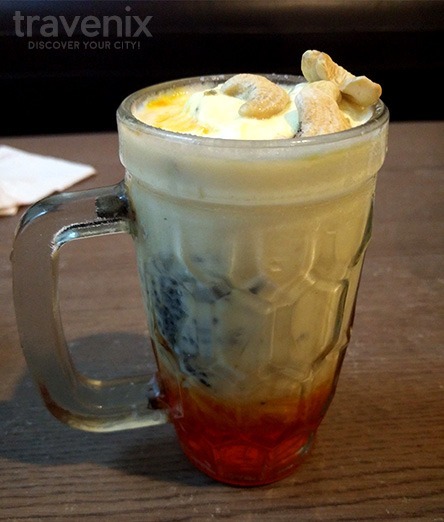 This golden drink of the kings comes topped with yummy ice cream, crunchy fried cashew and sabja seeds. While the texture is a little light and the drink could have been richer, it still gets the job done. It serves as a good finisher for a hearty meal, one that would leave you feeling spoilt. The price point may come off as a tad bit too steep, but given our sweet tooth, we’d go for it anyway. The Veg Cheese Pizza is the Indian answer to the Margherita Pizza. Our spice familiar taste buds didn’t like the blandness of it, so we threw on vegetables and loaded it with more cheese, thus was born this pizza. And the one at Pejas Pure Veg is an absolute delight. It is simple and hits the nail on the head. The cheese is abundant, the vegetables are well done and not lacking, the sauce has the tanginess that we all love, and finally, the base is perfect. 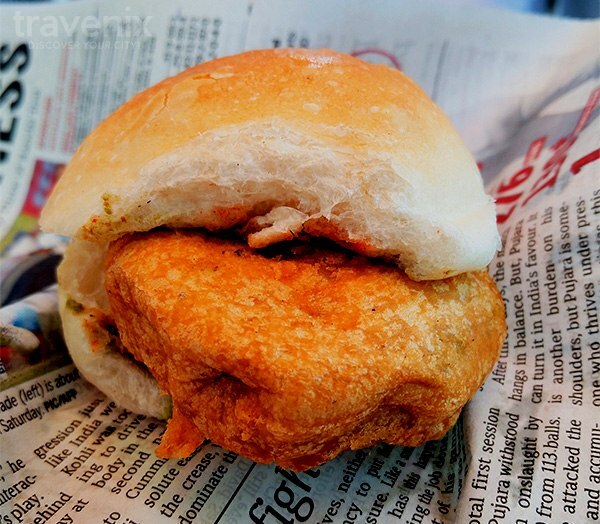 Mumbai is known for this dish and it is available in such abundance that you come to expect a certain level of finesse in the vada pav. This dish is the exact opposite – it is pedestrian. There is nothing special about it. However, the chutney does taste very good and as far as accompaniments go, it does its job. 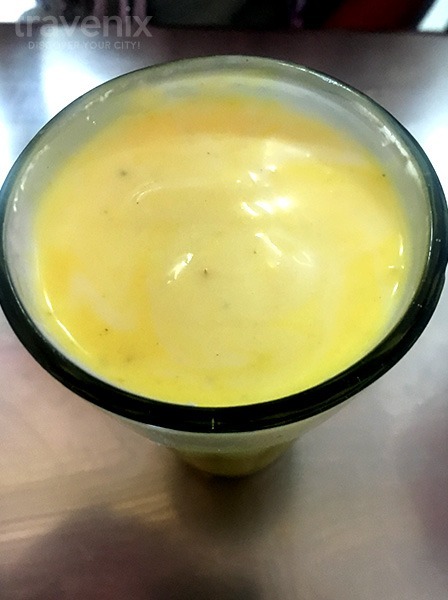 What better way to beat the summer heat than with a glass of Lassi, and Kesar Lassi, no less? This ancient drink has endured the test of time and has only grown better. The lassi is thick and rich with the right amount of sweetness. The kesar flavor is present in abundance and dances on the tongue with glee. An added flavor of cardamom mixes well with the entire color of the drink. The dry fruits and malai (cream) that come with the drink are the cherries on top of this well-made cake. 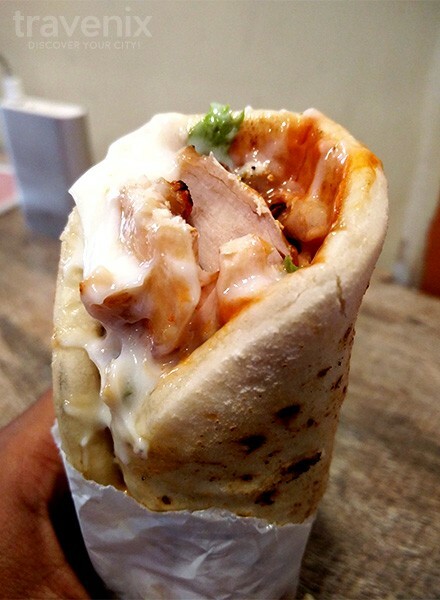 The ingredients are fresh and the shawarma comes loaded with cheese. However, there seems to be something lacking in the flavor. The chicken isn’t soaked in it, and while the dish is very well cooked, it feels flavorless. It could be that the mayo dulled the other tastes or just that there wasn’t enough flavor present. The naan accompanying the chicken is soft, thick and well made. 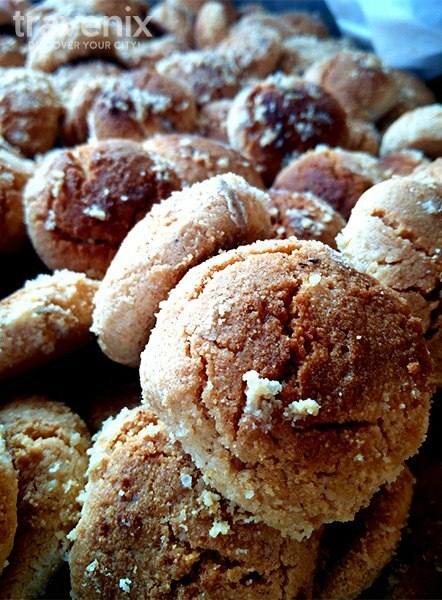 Nankhatai is a sweet and savoury Indian cookie that is easy to prepare but hard to master. 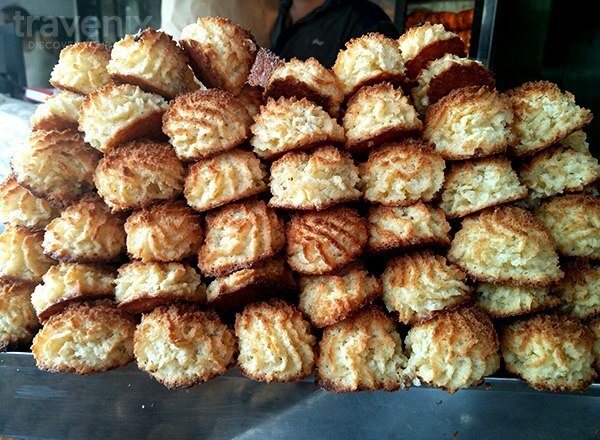 The one at Sani is soft and crumbles beautifully in the mouth, releasing its buttery flavor. It is light and is reminiscent of the famous Nawabi Chand Biscuits one would find at Charminar. A great accompaniment for your evening chai or coffee. This little treat is much like the city it comes from, hard on the outside and soft once you bite into it. The buttery coconut simply melts on the tongue, and is fresh and cool. It should come as no surprise then that the biscuits are very popular amongst the locals; and for the low price point, it is something we could eat every day. 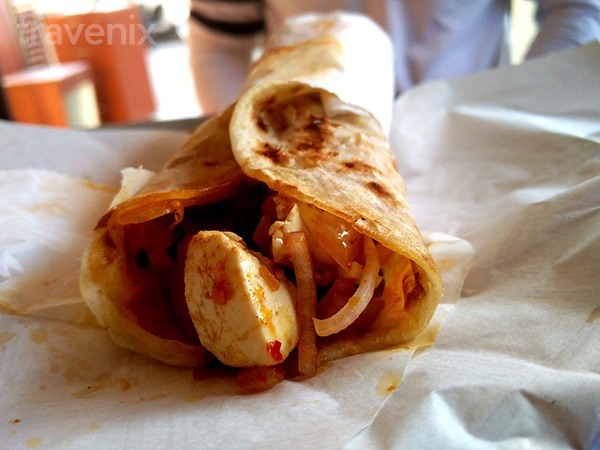 This Indian twist on the famous European snack ticks off every point on the street food list. The paneer is fresh and melts in the mouth. The vegetables are fresh and steeped in the spicy goodness of its flavor. No one single flavor is overpowering, and they all play out very well. One of the problems with eating a frankie is that it can get really messy; however, the one at MaMaTi’s was soft and easy to bite into. If you love spice as much as we do, then ask for extra spice while ordering your roll. The second Shawarma on the list does just as well (or as badly) as its competitor. However, while the chicken failed in the previous dish, it is the Naan that does not hold to scrutiny in this one. It is thick but doesn’t feel very fresh. The garlic mayo accompaniment is sweetish and doesn’t work well with the rest of the flavors in the dish. The chicken on the other hand, is fresh and well cooked. It is also well steeped in spices. 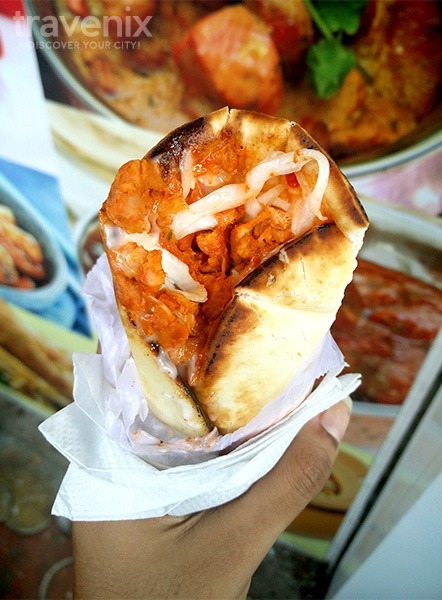 If you could get the naan from the previous stall and the chicken from this one, you’d have the perfect Shawarma. Mughlai Kitchen is the kind of place you take your vegetarian friends to if you want to convert them to the other side. 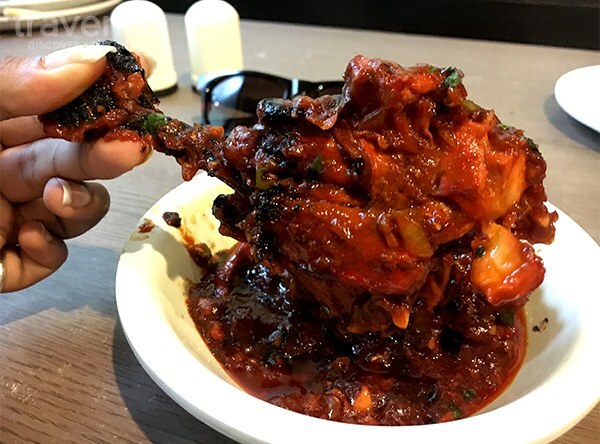 The chicken Manchurian pizza, which is a strange combination of Indian, Chinese and Italian cuisines, is a great example of the kind of meaty goodness that is served here. 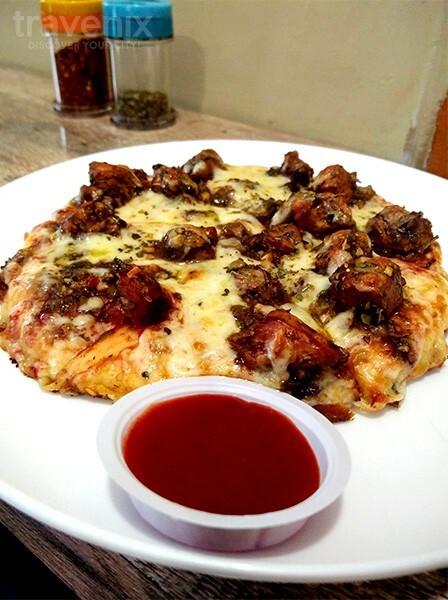 The pizza base is soft with a crisp crust, and is topped with sauce and Manchurian gravy. Both flavors are present in good amounts and a hint of oregano flavoring all fuse to form a treat for your palette. The cheese is present in the right amounts, is soft and melts in your mouth. 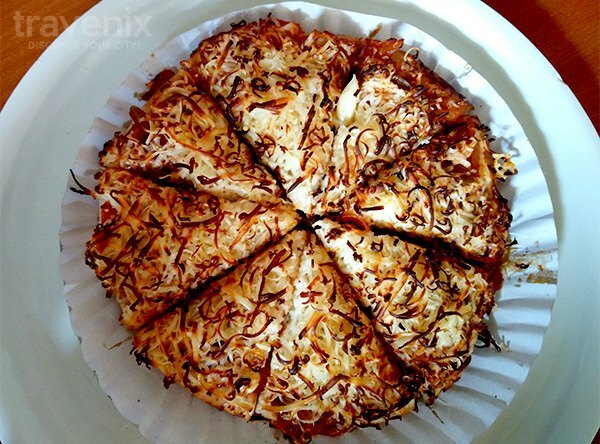 Overall, an amazing and innovative twist to a Pizza. If you have come across anything that we’ve missed, do let us know in the comments below and we will be on our way to review it!